iNetSudo allows SugarCRM Administrators to easily change to a different user without knowing their password, enabling them to configure and test any user's experience. More easily Debug and Test during development phases, especially for Sugar On Demand. 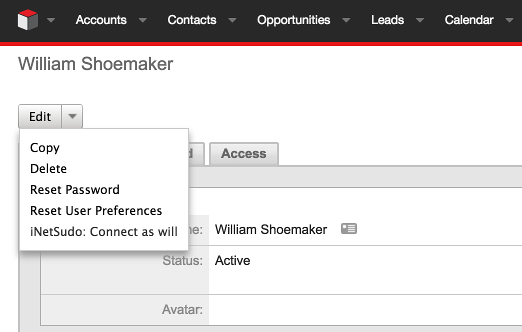 SugarCRM Administrators can go to Administration -> User Management -> Click on any User that they would like to login as. 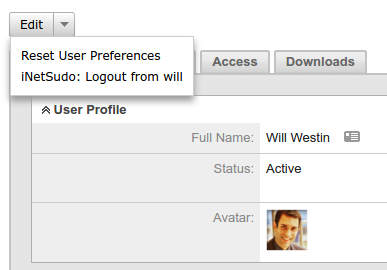 After choosing Login As, Administrators will be virtually logged in as that User. They will see and experience Sugar as if they were that user without requiring that user's Password.